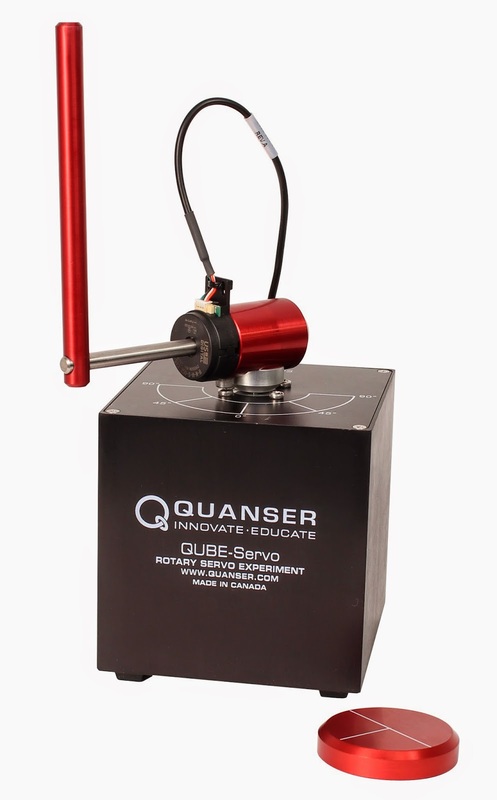 Although Quanser's QUBE-Servo rotary servomotor plant is primarily used for teaching controls, it has found its application in research as well. A research team from University of California, Merced, USA and IIT Gandhinagar, India studied the mechanism causing rest tremors in patients suffering from Parkinson's disease, with a goal of suggesting a simple diagnostic tool for this degenerative disorder. The team presented their research results at the ACC 2014 conference, in the paper "Experimental verification of observations relating to Parkinsonian tremor". Using the QUBE-Servo plant, the team recreated tremors similar to those observed in Parkinson's disease patients. Further they explored how observations from simulation studies, suggesting that one of the primary causes of the tremors may be the increased sensorimotor loop delay in patints, can be used for developing and improving diagnostic tools. Vision-based control systems find increasing number of applications in areas such as industrial robotics and autonomous vehicles. However, time delays that can arise due to image processing can result in undesired behavior of a system, or its instability. In their paper "Time-delayed vision-based DC motor control via rightmost eigenvalue assignment" presented at the ACC 2014 conference, researchers from North Carolina AT State University, USA and University of Michigan, Ann Arbor, USA, present an effective design method for time-delay vision-based motor control. Using Quanser's Rotary Servo SRV02, they experimentally demonstrate effectiveness of using eigenvalue assignment based on Lambert W function method to design PV and PIV controllers. Unmanned aerial vehicles attract a lot of attention in the last decade, and the number of applications in civilian as well as military sectors is growing. With uncertainties inherent to dynamic models of these vehicles, their flight control system design is challenging. 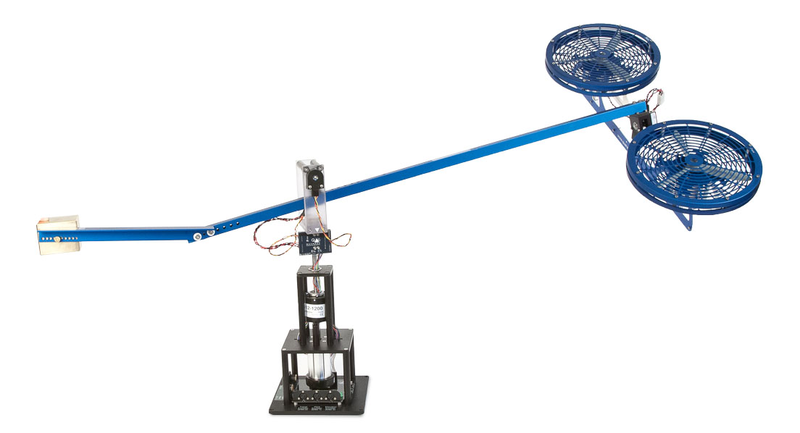 In the paper "Experimental results on robust optimal attitude feedback control of a model helicopter", presented at the ECC 2014, the research team from China's Beihang University and Tsinghua University addresses this control problem. They propose a robust optimal control method to deal with the attitude control of a model helicopter independently of the angular velocities. 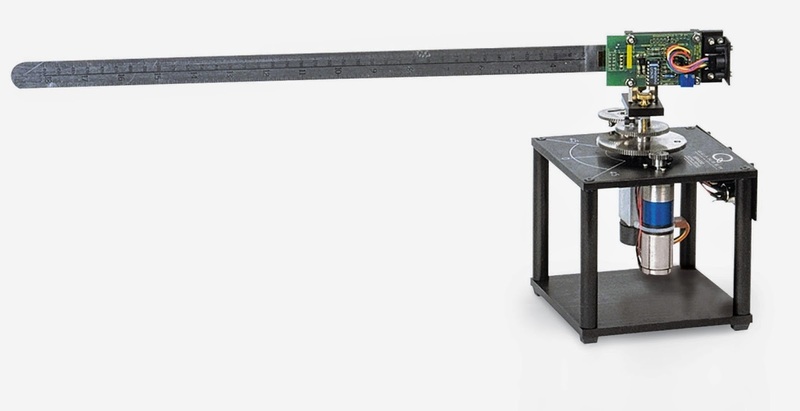 Using Quanser's 3 DOF Helicopter, the researchers demonstrate the effectiveness of their control approach, as well as the robust stability and the asymptotical tracking properties of the closed-loop control system. Utilizing the recently introduced concept of signal shaping techniques using distributed delays, the research team from the Czech Technical University in Prague explored a double oscillatory mode suppression. 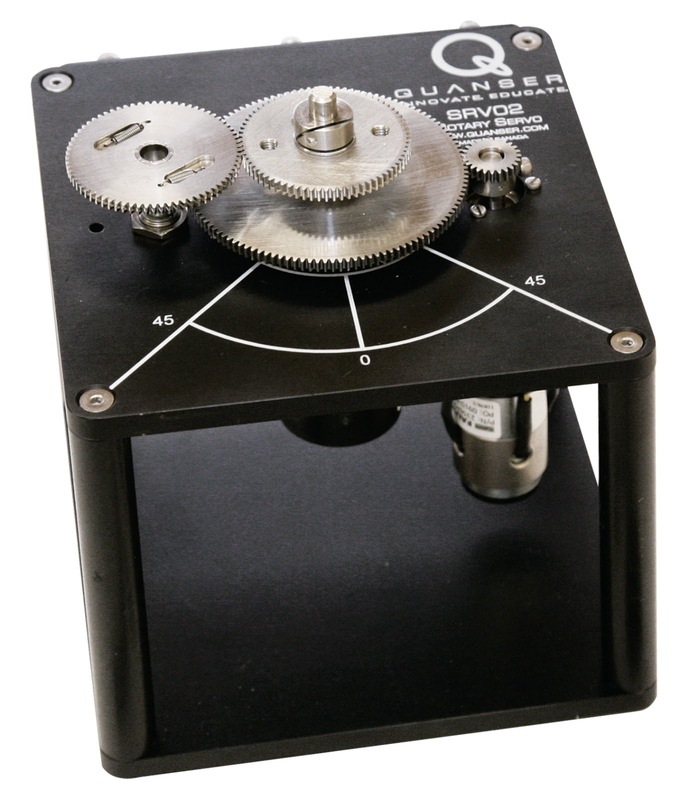 In their paper "Double oscillatory mode compensation by inverse signal shaper with distributed delay", presented at the ECC 2014 conference, they demonstrate that a double mode zero vibration shaper can work well in both the open and feedback loop compositions. 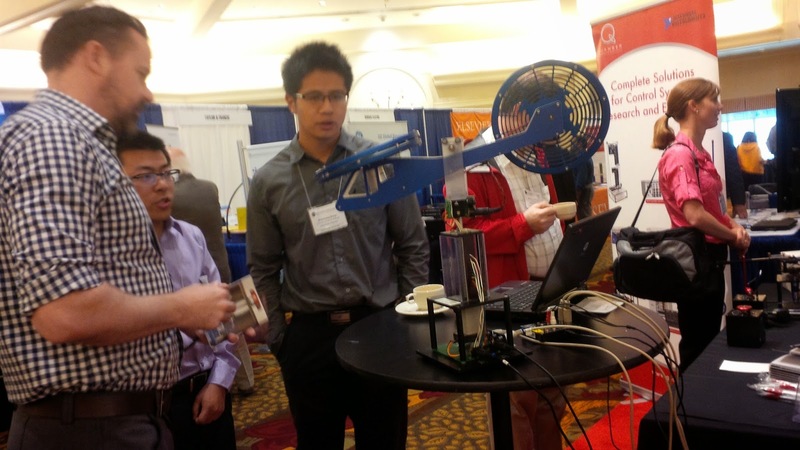 To validate their research, the team used Quanser's Rotary Flexible Link system. For more research papers from the ACC 2014, ECC 2014 and other conferences and research journals, visit www.quanser.com/research_papers.